Waking up early and staying out late: That’s how you do St. Augustine the right way. 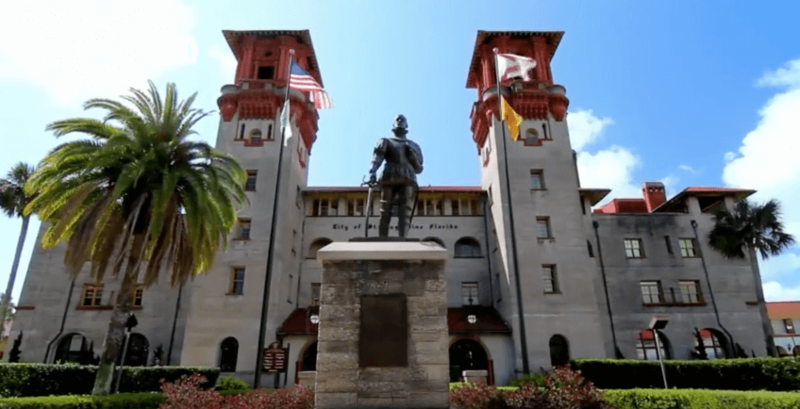 The oldest city in the United States, St. Augustine not only offers some of the best tourist destinations in the nation, but also quaint hide-away spots a lot of people don’t know about. Living only about 30 minutes north of St. Augustine, I spent many a time venturing through the narrow cobblestone streets of this historic city. I like to call myself the St. Augustine expert. Lace up your favorite pair of tennis shoes and prepare for a lot of walking. 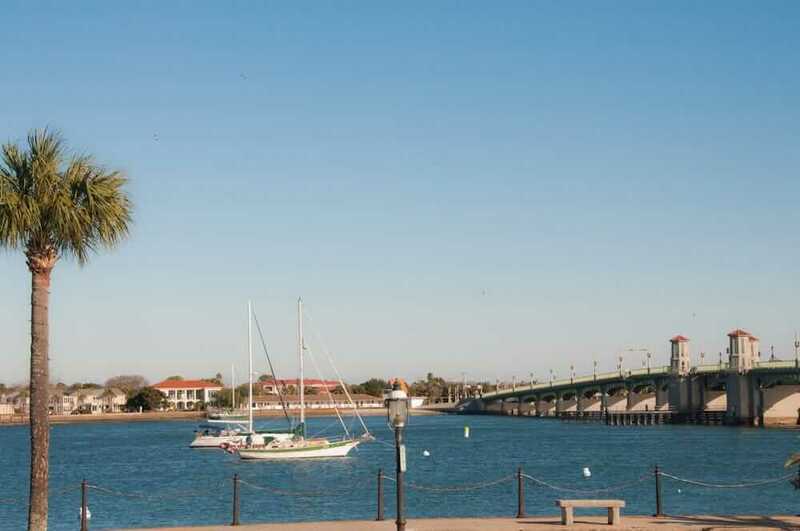 These things to do in St. Augustine show you why the oldest city in the U.S. deserves the newest spot on your travel list. What better way to welcome the day than by a relaxing sun salutation? Take in the fresh, salty sea air with each deep inhale and exhale. Listen to the Atlantic Ocean waves crash into the sand. Watch the colorful sky shift from pinks and oranges to light blue tones as the day wakes. St. Augustine Beach is located on Anastasia Island, not far from Anastasia State Park, which extends over most of the island. You can easily find the public beach access. A parking lot provides enough spaces for you and your gang to hang. The serene atmosphere will energize you for a day filled with adventure. After your yoga sesh, stroll on over to the Kookaburra on A1A for a coffee fix. Don’t forget to try one of their signature “Aussie Pies.” A short walk from the beach, the Australian culture-inspired spot offers a unique, vibrant atmosphere inside and out—complete with outdoor picnic tables and décor to suit your cool aesthetic. My favorite coffee delight has to be an Iced Honey Badger (definitely what I’m sipping on in this photo). Their “Brekkie,” or breakfast pie “Vejjo,” provides sweet potato and veggie goodness to get you going for your big day ahead. A trek through the shaded grounds of the Florida environment sounds like a great idea after downing a hearty breakfast. Hop in the car and park at that state park entrance located on the north end of the beach stretch. The nature trail extends four miles to the Matanzas Inlet. While exploring this area, why not go on a kayaking adventure? “I’ve personally gone kayaking from the St. Augustine Yacht Club, but there are multiple places in the area to rent boats of all kinds,” said University of Florida junior Lucas Sanders. Don’t forget to check out the 300-year-old coquina quarries left in ruins by early American settlers. Enjoy the fresh air, chirping birds and funky critters hanging around. Oh, and watch out for Tarzan swinging from vine to vine! Catch the first round of tours right as the doors open to this grander venue of history. A must for the art enthusiast, the Lightner Museum consists of a display of some of the finest 19th century art works in the nation. The building itself dates back to 1888 when Henry Flagler (who the university in town is named after) opened it as the Alcazar Hotel. Because of all its ornate features, the hotel welcomed almost 25,000 guests within the first ten years of operation. Now, some 130 years later, it remains a landmark for the historic Ancient City. 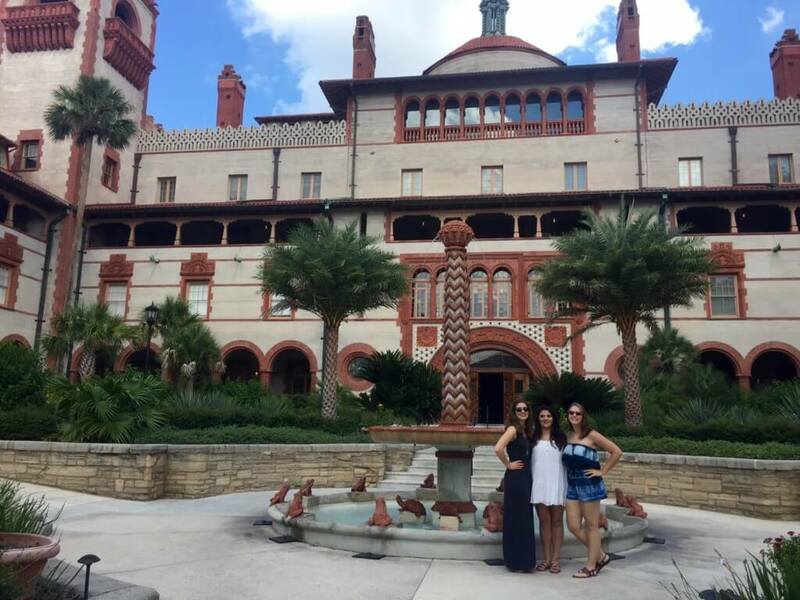 St. Augustine is home to none other than the beautiful Flagler College. A liberal arts school, Flagler provides students a unique college experience, with a small city atmosphere, beautiful architecture and ghost tales that will send shivers up and down your spine. No question that the dormitories are haunted. 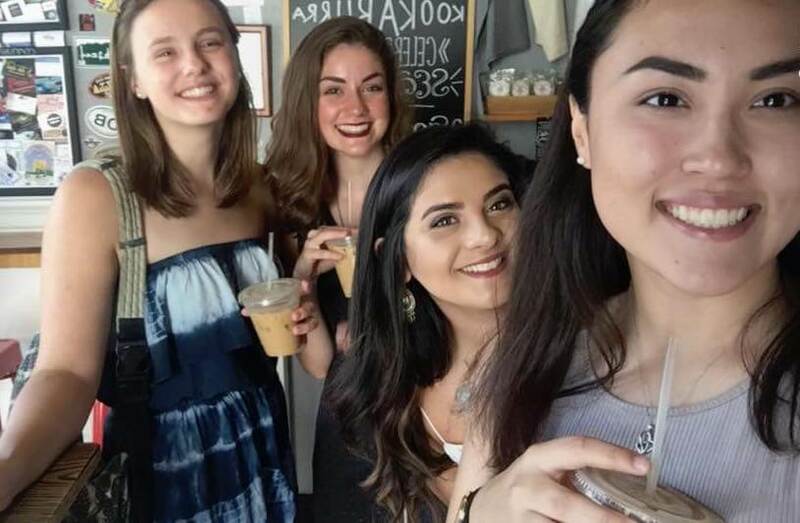 “In college, I had several residents who didn’t know each other, report seeing ghost kittens in their dorms,” said Flagler graduate and past resident assistant Maria Laird. The student common area stays open to the public and the campus intertwines throughout the city, so remain on the lookout for students and teachers walking around who will gladly give you directions/suggestions. Another landmark that pops into the local’s mind when they think of their home town is this massive fort. 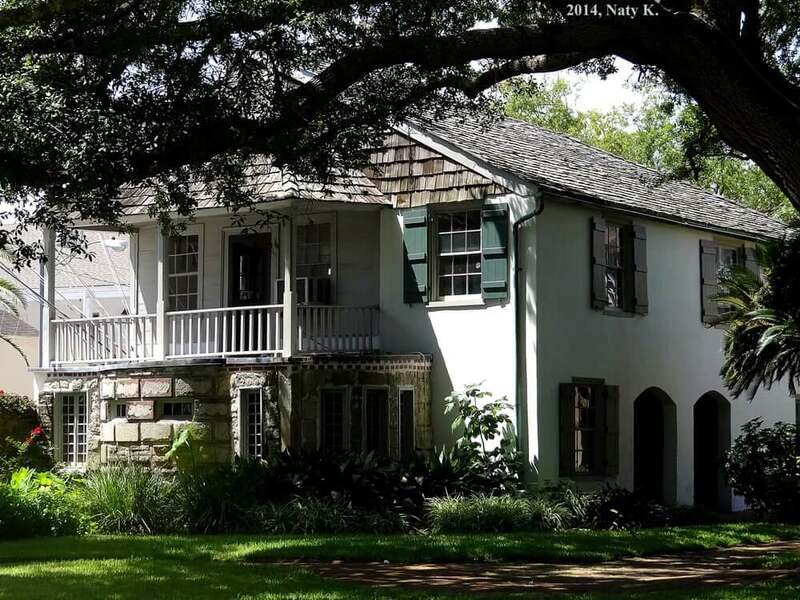 Made from coquina, the structure dates back to 1672 when the Spanish originally built it. Since that time, Britain and Spain continued to fight over its ownership. Learn more about the complicated history of the fort by going on a tour or exploring the fort on your own. Climb to the top for a beautiful view of the city and bay. St. George Street, located through St. Augustine’s old city gates, offers a variety of choices for food. The Columbia Restaurant, located at the intersection of St. George and Hypolita Streets, provides a more refined lunch experience with authentic Spanish cuisine and a fresh, relaxing atmosphere. Looking for something more casual and fun? My favorite has to be the Taco Shop for a sloppy fish or chicken taco. The Bunnery, located right across the street has the best apple strudel according to Florida State University junior Piper McInall. They also offer a wide variety of American style sandwiches if you don’t have a strong sweet tooth. Don’t forget Pizzalleys, right next store, for a quick slice of warm pie or a heaping mountain of pasta. The options never end on St. George Street. Did you know that St. Augustine was frequently visited by some of the most infamous pirates of the 18th century? 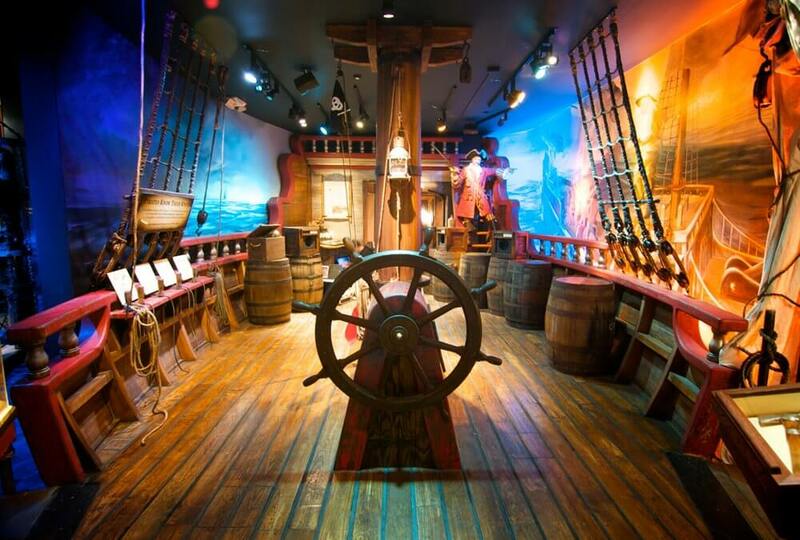 Learn more about the 300-year-old Age of Piracy Exploration through an interactive and exciting museum experience. The museum is located down Castillo drive, off of St. George Street and down towards the bay. Take the perfect stroll through the city before sailing to your next adventure. Visit the structure considered the oldest home in the United States of America. Admission includes a guided tour, where you will learn about the ways colonial Americans lived hundreds of years ago. The guide will lead you through the house, a museum, an exhibit and a beautiful garden on the property. After all the walking, a refreshing break calls your name. “It’s so fun to wander around the city and you for sure have to get a popsicle at the Hyppo,” said FSU sophomore Rebecca Henderson. The hip spot offers delicious, healthy popsicles for maximum amounts of chill. With several locations hidden throughout the city, find one and indulge. The Hyppo accommodates a sweet tooth while not breaking health nut rules by offering vegan options. I recommend the decadent Dark Chocolate Avocado pop, my absolute favorite. 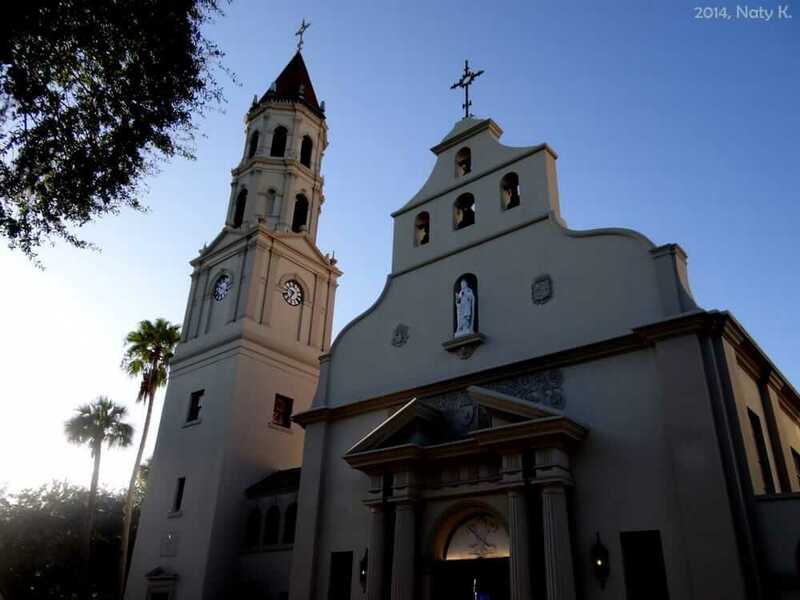 The Basilica of St. Augustine, known for its serenity and opulence, offers an example of fine architecture that characterizes the old, quaint city. You can find a beautiful sanctuary outside the basilica where you can take in the fresh air. Walk around the inside, reflect, pray if you want. No better place. “The Cathedral is beautiful and it’s really fun to go to a Saturday night mass and then go get ice cream after,” said UF junior Kelvy Alter. Keep this idea in mind for your next weekend getaway. 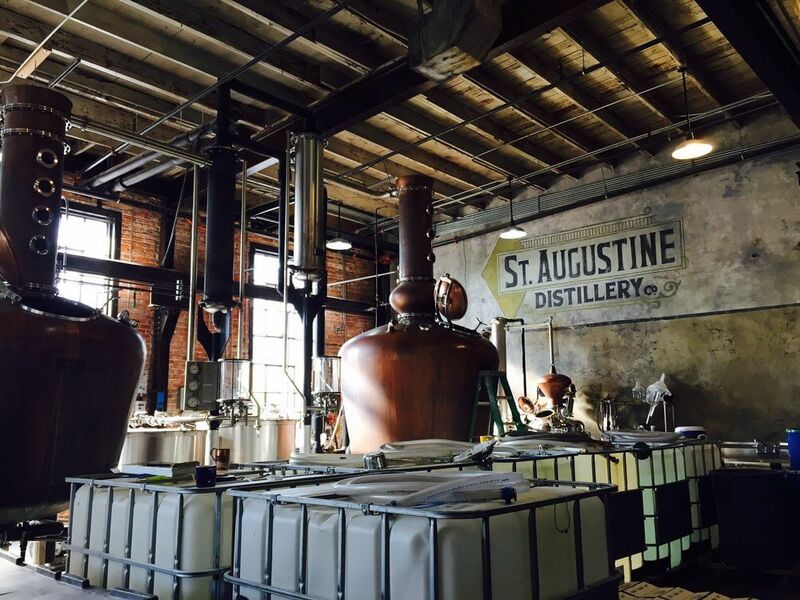 Join in for the last tour of the day at the St. Augustine Distillery, housed in Florida’s oldest Ice Plant, one of the “coolest” venues you will ever see. They offer free tours, which includes a free tasting for those over 21. “There’s free booze. You can’t go wrong,” said FSU graduate Belle Robinson. Watch as workers skillfully craft their products and learn all about the history of distilling in Florida since the old ice plant was renovated in 1917. The Ice Plant takes “I’ll have a cold one” to a whole new level. Located in the old ice plant, right next door to the Distillery, the Ice Plant offers an environment almost as chill as their drinks. “The Ice Plant is my favorite bar to this day,” said University of Central Florida senior Case Scherer. Maybe order a “farm to table” style appetizer along with your chilled cocktail to prepare for the great night to come. 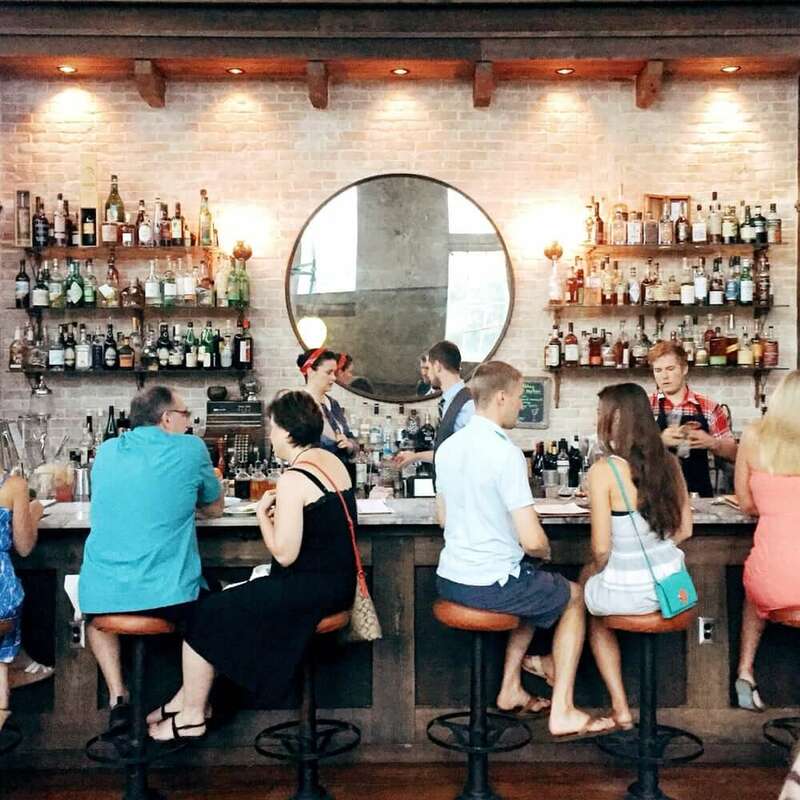 St. Augustine is home to way too many restaurants to pick just one to enjoy. Both O.C. 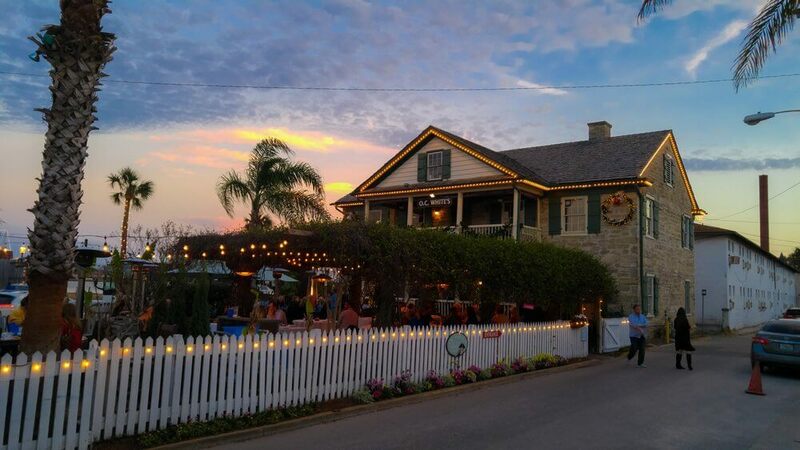 White’s and A1A Ale works offer a beautiful atmosphere and some delicious food. Fish lover? O.C. White’s will stun you. Feeling a burger and fries after a long day? A1A Ale Works will satisfy those hearty cravings. Both offer indoor and outdoor seating and views of the Bay to watch the beautiful Florida sky change colors during the sunset. Dragging after a day of adventure? You still have a long way to go. 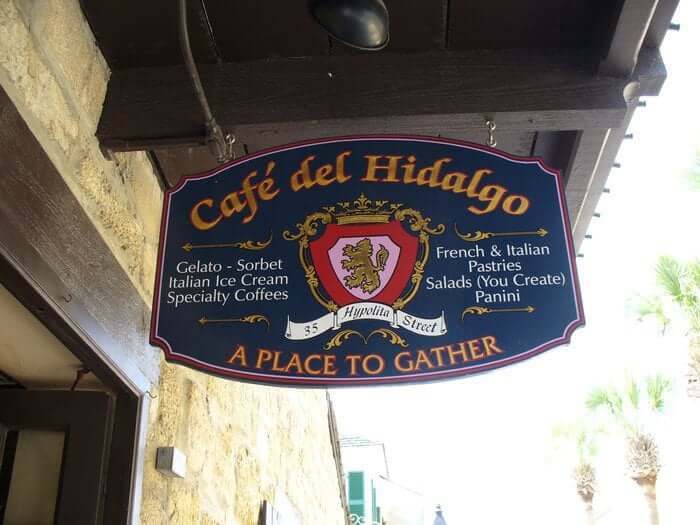 Pick up a cappuccino from the authentic Spanish café, Café Hidalgo, on St. George Street. 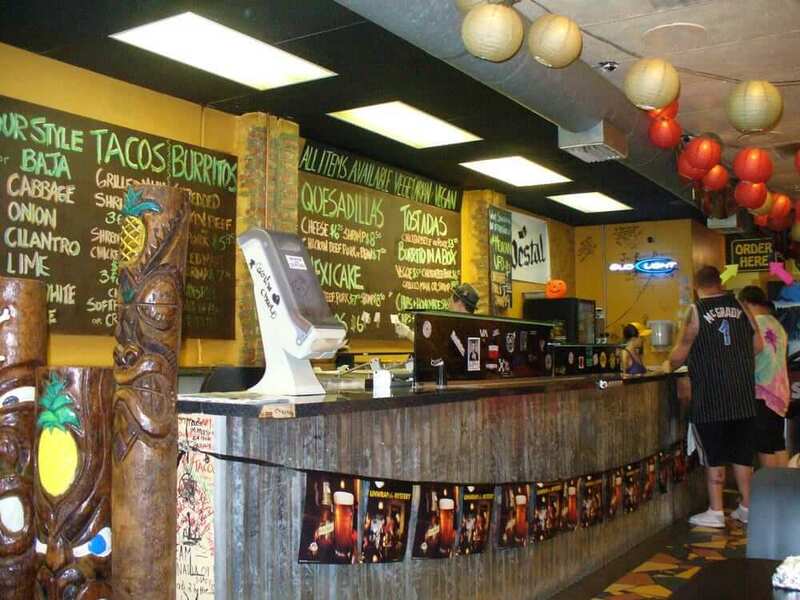 A quick pit stop for a to-go order will allow you to peek in the other cute shops that St. George Street has to offer. Don’t forget to check out Earthbound across the street and Red Pineapple, a vintage inspired clothing and accessories store where you can find anything from 1950’s style house wear to stationary to sunglasses and so much more. Continue the walk down St. George Street until you stumble on this sweet-lovers dream. 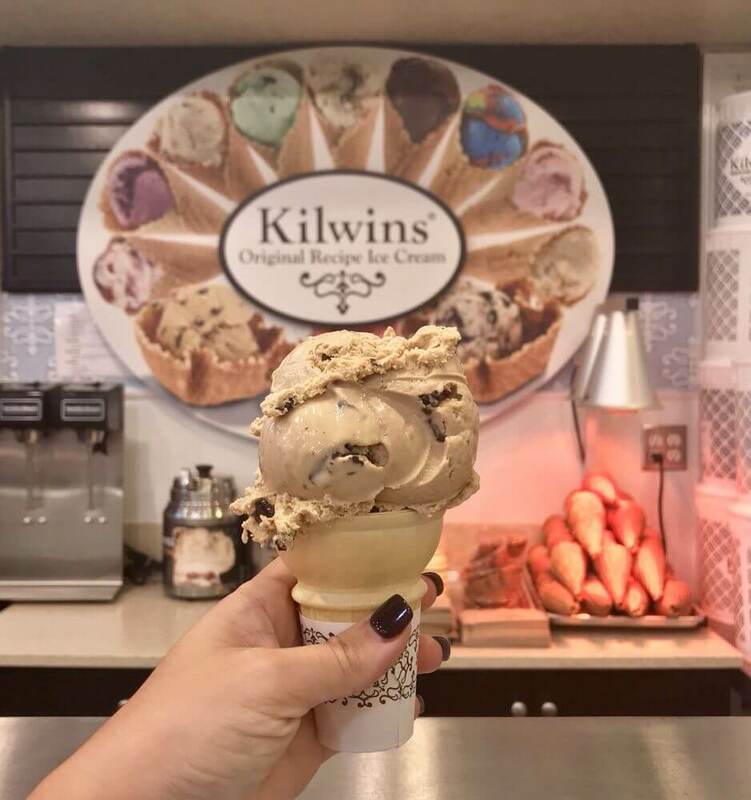 This quaint ice cream shop offers flavors that will make your mouth water. “Just walking down the street and smelling the waffle cones being made always puts me in a good mood. 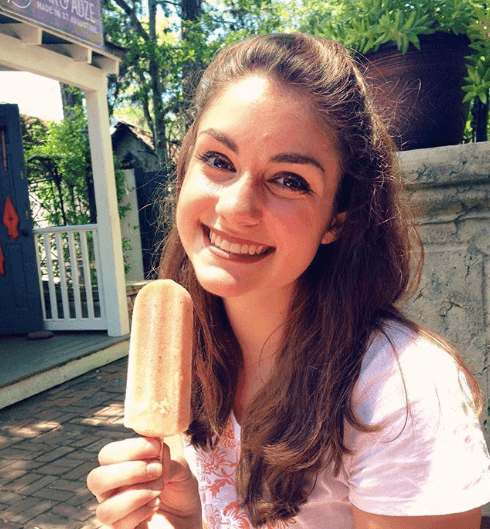 Their ice cream is always to die for,” said Florida State College of Jacksonville student Alessandra Paratore. Not only do they offer ice cream, but caramel apples, chocolate and other sweet treats that will satisfy your cravings. 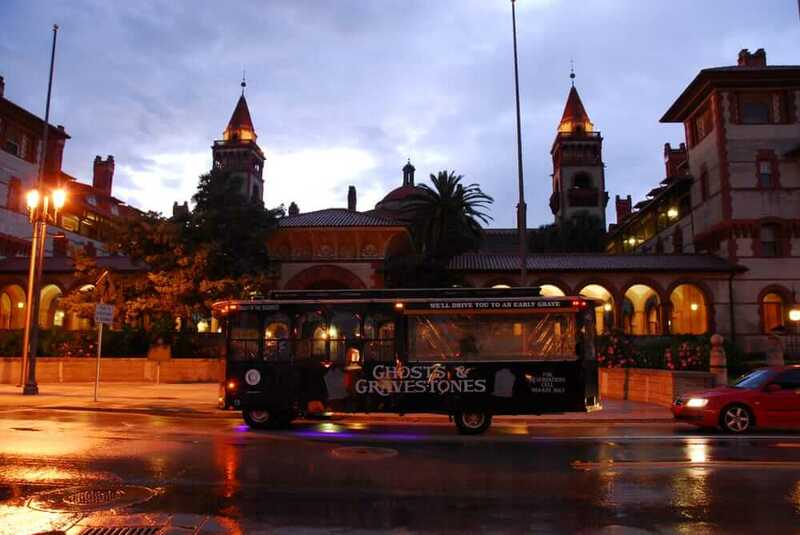 Welcome the night by boarding a spooky Ghost and Gravestone’s Tour. Visit cemeteries, the Old Drug Store and top it off with a trip to the Old Jail. Several people have spoken on creepy experiences at the Old Jail specifically. “I remember seeing eyes staring back at me from the cell,” said Alter. During the tour, listen to scary stories and learn more about the history of the Old City. Don’t try to leave St. Augustine without experiencing the local jazz scene. 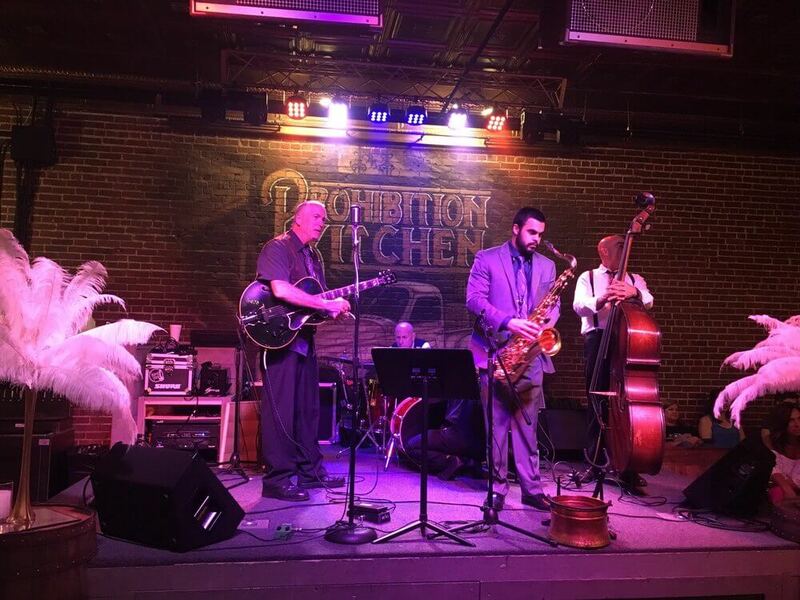 Prohibition Kitchen offers a unique venue that transports you back in time to the 1920’s. “Prohibition Kitchen is amazing. 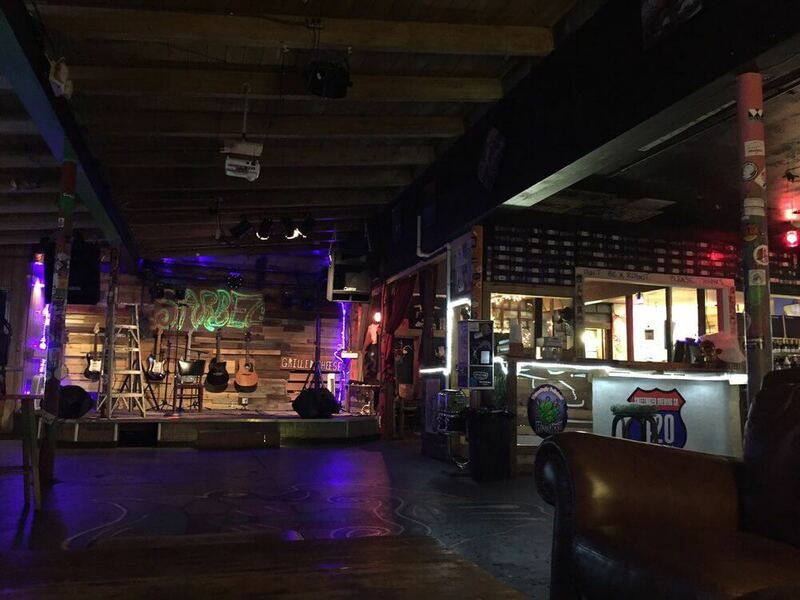 If you want amazing live music, good drinks and great food, it’s the spot,” said St. Johns River State College senior Taylor Collins. After 10 p.m., the restaurant transforms into a jazz club scene where only the coolest cats are allowed. Take in the crisp, night air and the beaming lights of the city while you stroll over the Bridge of Lions. Bridging the old city and the beach side of town, the Bridge of Lions is a famous spectacle for boaters and spectators alike, providing an amazing view of the nearby Atlantic Ocean, the bay and the city. Feel the breeze whisk through your hair as the cars pass by and feel alive. Right on the other side of the Bridge of Lions, you can find a spot famous to the locals of the city, Planet Sarbez. Sarbez, famous for their grilled cheese sandwich and for their support of local musicians, young and old and of every genre you can imagine. Pop in to try their signature item and listen to some unique tunes. Go out on a whim and ask for an autograph. The band or singer you hear may just be the next big thing. Sit back, relax and star gaze. Maybe catch a glimpse of the man in the moon if it’s not too cloudy. 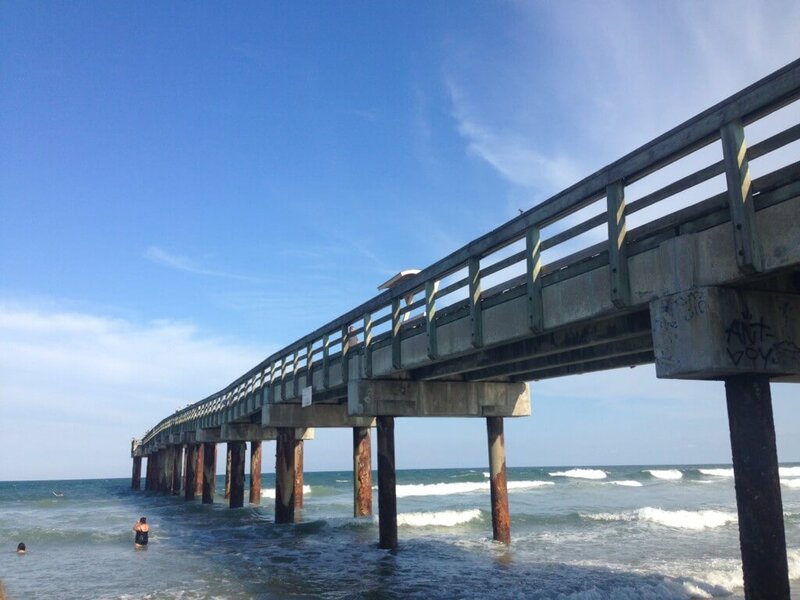 The St. Augustine Beach Pier offers a scenic stroll out into the ocean waves where you can witness the destructive or calm wonders of nature. If you happen to be on a summer trip of sorts, I recommend visiting the area when the “Strawberry Moon” makes an appearance on June 28. Get ready to experience a full moon like no other, with its reflection bouncing off of the ocean surface, while you breathe in the fresh sea salt air. The pier also provides beach volleyball nets for use. Coerce your friends into a late-night tourney for some fun in the sand. 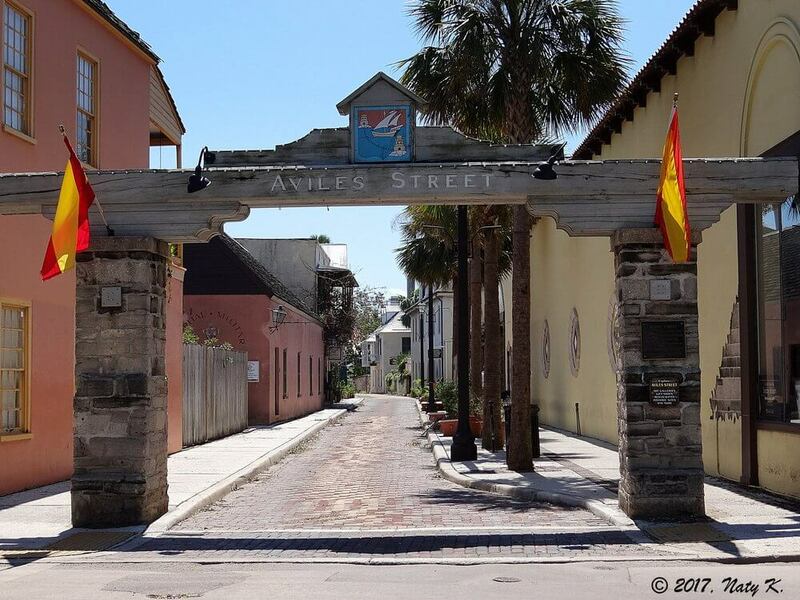 St. Augustine offers so many narrow streets to explore complete with cobblestone roads, pretty architecture, gardens and so much more. Take some time to walk around the village square area located between the Basilica and A1A Ale Works. You may even run into some interesting people. “The steel drummer man is a must see,” said Flagler graduate Beau Beaudreau. You may find the street musician off St. George Street and around some crooked city corners. Make sure to check out my favorite street, Aviles Street, complete with galleries displaying unique artworks and quaint cafes. Cruise through the old Slave Market, look through windows at the many art museum displays and check out any of the cool bars that may still have some stragglers. A walkway located alongside the bay provides multiple benches to sit and relax. Choose one and rest after a long day of adventures and fun. Maybe take this time to search for the perfect photo to post on the Gram or your next Facebook profile pic because you know you took the artsiest shots throughout your busy day. 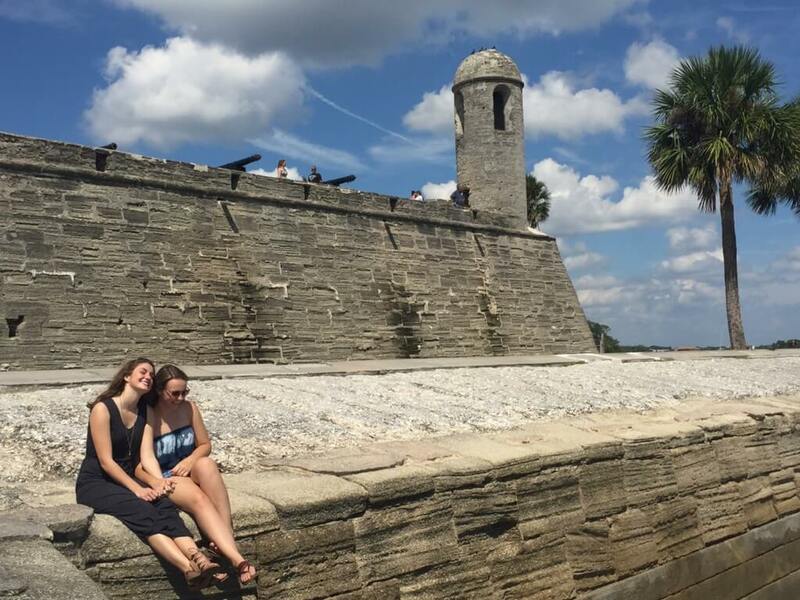 Make all your friends have FOMO over your amazing trip to the old St. Augustine. 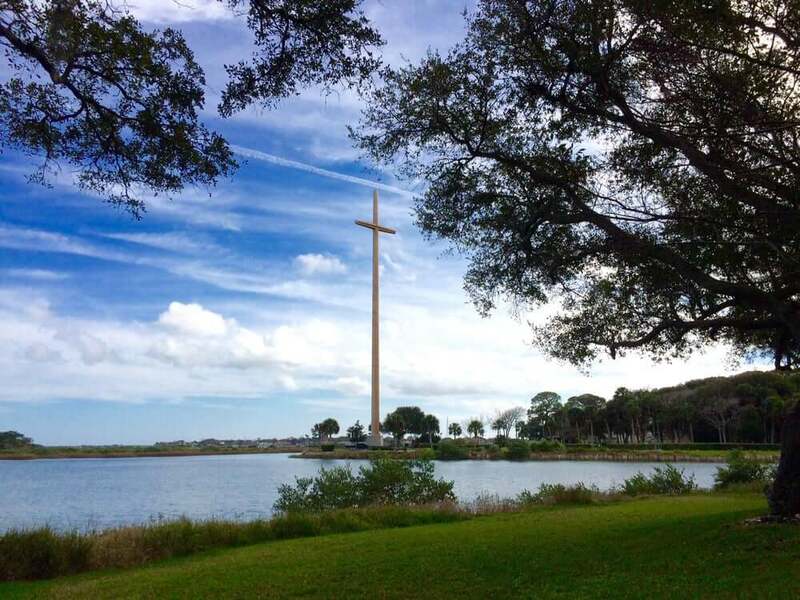 Upon your entrance into St. Augustine, you may have noticed the colossal cross, stemming into the sky. Roam the grounds of the Mission Nombre de Dios and find the perfect spot to sit and welcome the new day. The mission grounds rest right on the bay, so the sunrise will provide the sky with the prettiest collage with the colors of the rainbow stretching across the sky. What a perfect ending to an even more perfect day. Student, writer, lover of exercise and showtunes. Senior at Florida State studying Media and Communications.